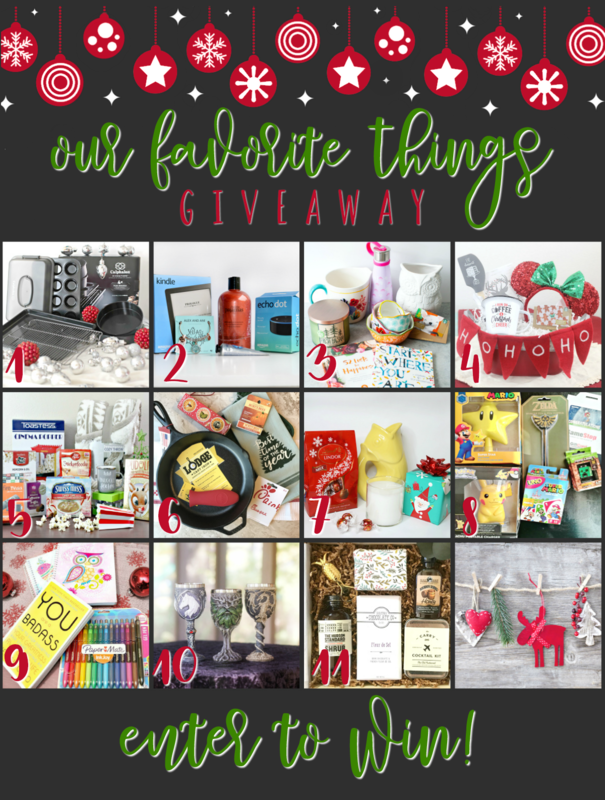 It’s that time again for the annual My Favorite Things giveaway. 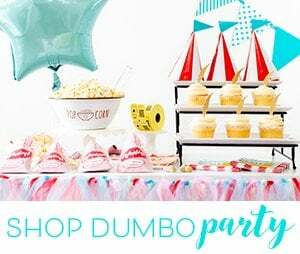 It’s that time when I get together with a group of bloggers and we literally give away our favorite things. I’m pretty excited about being able to put together a prize with some of my very favorite things to share with you and you better believe it involved Disney and coffee. Sound fun? Take a look at the gift collage above to see all the amazing giveaways you are about to enter! Now, scroll down below to see my fun giveaway up close! Then, HOP around to all the other sites, check out their amazing prizes, and enter to win their gifts! After you enter my giveaway below, here’s where to find the rest of the fabulous giveaways! Which of my favorite things do you want to win most? We should totally be friends because I love all of these things too! Since I live in Anaheim, no one would lol twice if I wore those ears to Starbucks. Starbucks for the win! Thank you! I am surprising myself but I have to say the ears! I love them. The coffe mug is my favorite. I would like to win the Starbucks card because I would give it to my daughter. I would like to win the I Run on Coffee & Christmas Enamel Mug the most because that fits me perfectly. I am the one who always host the big Christmas Eve party. I am crazy about the coffee mug! Thank you for this fun giveaway! I love the Oval Decorative Bucket with the HO HO HO banner. It would be great with my Christmas decor! I love the Eat Dessert First spatula because it's something I say alot!!! I''d love the starbucks card - comes in handy when traveling. It's a toss up between the Starbucks card and the Minnie ears! I Run on Coffee & Christmas Enamel Mug is super cute! I would like to win the starbucks card. My daughter loves to have a Mommy Daughter date at Starbucks after school! The coffe mug, it’s so cute! The Minnie Mouse ears would be loved by my 2 year old! The mug is my favorite. I can relate. I like the Starbucks gift card but a close second is the coffee cup! I think I might look particularly charming wearing those red sequin Mickey ears while using my Starbucks gift card. Don’t you agree? I like the I Run on Coffee and Christmas Mug the best. Wow, so hard to choose! I like all of them for different reasons. For myself I'd probably say the Mouse ears because we just went to Disney this summer for the first time in 14 yrs! I love the coffee mug & the Starbucks giftcard! The coffee cup fits me so well! I love it! Cute!!! Would love the Starbucks gift card. Minnie ears for my granddaughter. I ❤️The mug!! But i ❤️Going to Starbucks to hang out with my grown children! I love the Minnie mouse ears!! I want everything! But that mug and the Starbucks gc is my fave. I LOVE the Christmas mug!! Soooo cute!! The minnie mouse ears. My grand daughter would just love it. The mug! I love it. It's bright and cheerful! So hard because I love everything avkut this basket. I think I would love the Disney mouse ears. I have always wanted a pair!! I like the $10 Starbucks Gift Card because my husband loves to go there all the time! The Minnie Mouse headband will be great for my granddaughter. Number 1 or 6 because I am a home cook and I always love to add to my collection of cookware. I would love the Starbuck's gift card. I would buy some beans to brew at home. I love the mug although I suspect I wouldn't get to use it much! I am most excited for the Starbucks Gift Card. I am most excited by the Minnie Mouse Sequined Holiday Ear Headband because my daughter would love it. I would like to win the Minnie Ears as I think that they are just adorable. Everything looks great but I would most love to win the Minnie Mouse ears because I am a huge Disney fan! These would be awesome to wear for the holidays and be able to have on for my holiday pictures! Well, the mug definitely has that cheery message! My favorite item is the Eat Dessert First Spatula because I love the saying on it and my desserts. I like the Galvanized Bucket. I would use it as the container in a gift "basket" for a friend's Christmas gift. Love the cup and the chance thank you! I really like the enamel mug. I think it is darling, and really love enamel coffee cups. I would love to have that mug to add to my collection of mugs! Starbucks, I'd give to my sister so she can grab a coffee before work. I love the coffee mug, "I run on coffee and Christmas cheer" ,I would I've to win that. I would love to win the coffee mug the most! I have a weakness for coffee mugs and extra points if it's holiday related!! My granddaughter was Minnie for halloween so I'd love to win the Minnie Sequined Headband for her! My friend would LOVE the Minnie Mouse Sequined Holiday Ear Headband. Thanks for the contest. I would love the Starbucks card. Perfect gift for my daughter. I use silicone spatulas for EVERYTHING and mine are starting to get a little ratty. This one is so stinkin' cute! The mouse ears are cute, I'd gift them to a friend's kid. I'd most like to win the Starbucks gift card. I need all the Starbucks I can get at this point... as if the holidays and kids schedules aren't crazy enough, we currently have 6 foster puppies who don't sleep at night *yawn*. i love the coffee mug. that decribes me perfectly right now!! The item I would most like to win is the Starbucks gift card because I did love the extra treat while shopping at Target ?? I like the coffee mug, it looks like a fun mug to drink out of. Most definitely the Disney Ears! Love Love Love ? I want the Minnie Mouse ears the most because I'm a Disney freak lol. I love the whole gift set!! So Festive!! The Starbucks giftcard! I love Starbucks! I love the Minnie ears. Love the I run on cheer enamel mug because I have quite a collection of awesome mugs! The Starbucks giftcard. I need my coffee! I would like the Eat Dessert First Spatula. I tear mine up all the time. I love the Minnie Mouse headband! Would love to wear at Disneyland. I love the Red Galvanized Oval Decorative Bucket . I have the perfect place for it. the Minnie mouse ears is what I want to win the most. They are so festive, and adorable. I just want to wear them. I would love the coffee mug its the cutest. I love the Minnie Mouse Sequined Holiday Ear Headband. All of these are amazing! All the items are great, but my favorite is the Coffee Mug. I love the minnie ears. I go to Disneyland at least once a week and would love to wear these beauties! I would love to win the minnie ears the most because my 12 year old is going nuts over them. Next, the starbucks card for caffeine to keep up with my 12 year old. I would love to win the I Run on Coffee & Christmas Enamel Mug and give it to my daughter who loves coffee. I would be happy to give her the Starbucks card to go with it too. The Minnie ears are soooo adorable. That's the prize I'm looking forward to. I would love the Starbucks Card, it is my favorite thing!! 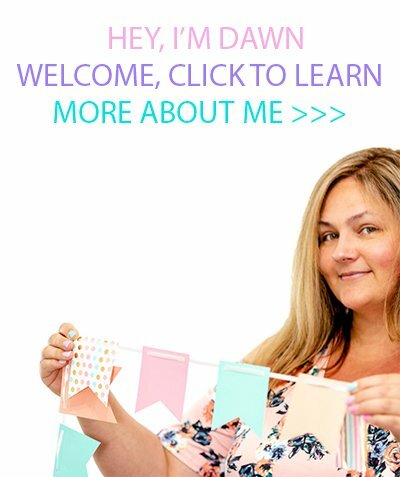 Hey Dawn! :) Hey everyone! Love it all! The Minnie Ears too cute! Love the mug! Have a great a week! I love the "I Run on Coffee & Christmas Enamel Mug" because it is so true, I do. My family would get a kick out of it because they would say it suits me well. I love the enamel mug because it's something I could also use when I go camping. I like the rubber spatula! A mug and Starbucks gift card, I love their drinks! My favorite thing of your favorite things is the Minnie Mouse Sequined Holiday Ear Headband. Would be so fun to wear to Disneyland when we go on Christmas Eve! I'd love the mug and the gift card- coffee is my obsession! 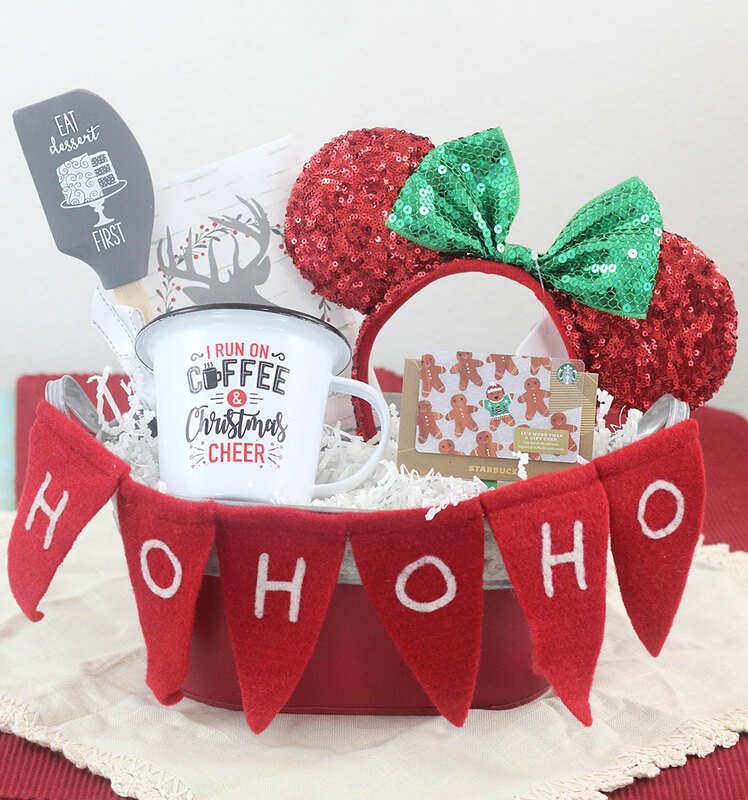 This is the cutest gift idea - I mean, who doesn't need the extra boost during the holidays - and wearing mouse ears to run errands... PRICELESS! Merry Christmas, Happy Holidays, blessings of the season! What a fun collection! I love the spatula! My favorite thing would be Starbucks so the $10 Starbucks Gift Card. I am most excited for the Minnie ears headband! We were just at Disneyland in October and I totally regret not picking up some ears for my daughter.She would adore those! I'm always down with a starbucks gift card. The sequined Minnie Mouse ears are awesome, never seen anything like that before! I'd love to win the gift because it would be nice to spend someone else's money on coffee for a change!! LOL ....also my friend's daughter would love the mouse ears. I'd love the Minnie ears! We don't have any and haven't been to Disney as a family. It would have to be the Starbucks gift card. Love Starbucks. I love the enamel coffee mug...so cute! Thanks for the fun giveaway! It's hard to chose. I love the mug but really like Star Bucks sandwiches. Thank you for the chance to such nice gift set and the chance to win . Merry Christmas!! I definitely love the Minnie Mouse Ears. They are so sparkly, festive, and fun! I would wear them to my family party on Christmas Eve! The mug is so dang cute, so that's my favorite of your favorites! I used to have a special Christmas mug as a kid and I was just thinking last week that I'd like to get one since that one is lost. Anything to make the holidays even more special. The Minnie Mouse headband is very cute. My favorite item on the list would be the I run on cheer enamel mug. It's super cute and I don't have enough enamel mugs. It's between Star Buck's gift card and mug. Thank you for this fabulous chance! Starbucks is my favorite guilty pleasure so the gift card is my choice! The mug- it would be the perfect addition to my collection! I would most like to win the Starbucks gift card because I LOVE coffee! I get your newsletter all the time, but I can never find the bonus code. Me and my Chloe Pearl would be over the moon thrilled to go out to Starbucks for some tasty treats! I absolutely love the Minnie ears. I like the coffee mug and Minnie ears! Everything there is great. The Starbucks gift card would be awesome. I love coffee. I would love to win the minnie ears. we live near disney, and i always love having ears to wear for different occasions. If I'm on the go, I've got to have my coffee, specifically Starbucks! I'm a mother of a 3 year old with Autism so caffeine always helps! Oh, that Starbucks Gift Card would be nice. I most want to win the Starbucks gift card, I got one for my birthday and I loved it and it's hot drink season. I love anything that smells like Christmas so I am excited about the sachet. I love the banner. It would be perfect in my office. My favorite is the mug of your favorites... it's the best Christmas mug I've ever seen. a Starbucks GC would always be welcome! I would like the Starbucks gc so I could treat my mom to a coffee. I would like the $10 Starbucks Gift Card because I love coffee. I so want to win the Starbucks gift card because I have not been there in years. I would love the Minnie ears because they are so cute! I would like to win the Starbucks gift card the most. Hard to choose, but I do love the mug. I'd love to win the Starbucks gift card. I don't get Starbucks much and it would be a great treat. Eat Dessert First Spatula because I like the clever saying. I would love to win the mug and the gift card. The gift card would come in handy when traveling for interviews. 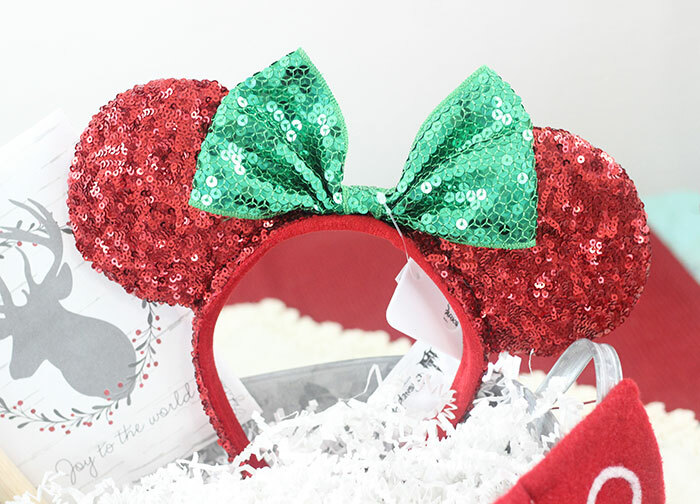 I like the Minnie Mouse Sequined Holiday Ear Headband the best because I would wear this whenever I went to Disney no matter what type of year! My morning coffee would love to be in the cute festive coffee mug ? I would love the starbucks because i love going there and love my coffee! I love that spatula! I am always looking for different fun spatulas to put into my utensil bucket on the counter! If I have to pick a favorite item, I'd say the Minnie Mouse ears because they're so cute and festive! I need I new spatula so that's what I'm most excited about! 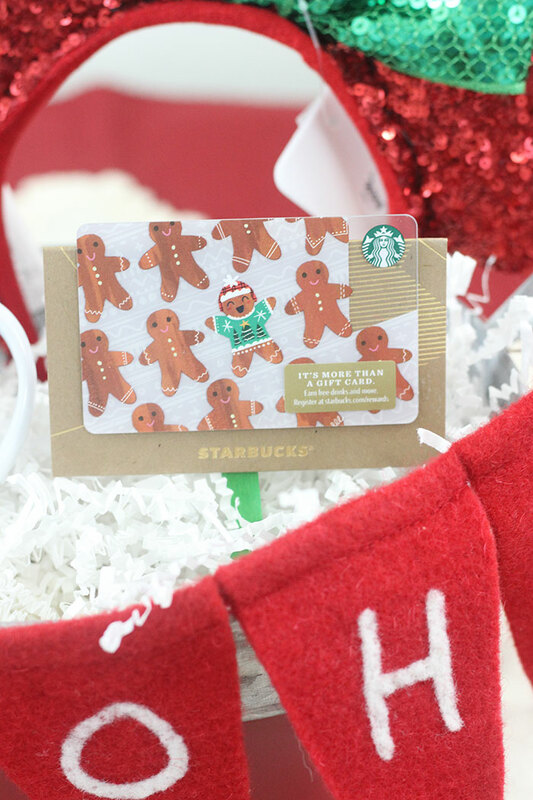 All of your favorite things are awesome, but if I'm being honest - it's always going to be the Starbucks gift card I want the most. I would like the I Run on Coffee & Christmas Enamel Mug because I enjoy a cup of coffee every day. As much as I love the Minnie headband my favorite is the mug. It fits me perfectly. I just love the Minnie Mouse Sequined Holiday Ear Headband. My daughter would enjoy it. 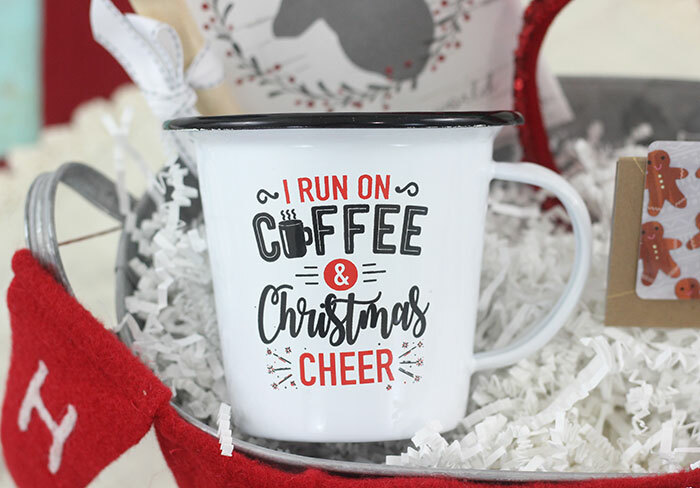 I love all of your favorite things, but what I love the most is the I Run on Coffee & Christmas Enamel Mug! So cute! I'd most like to win the $10 Starbucks Gift Card. I love my coffee! Hey Dawn! Great prizes it will be hard to choose , but I pick the coffee mug. Starbucks!!! What a great giveaway. Thanks. I want the Minnie Ears because I am a Minnie fan and would love to wear them with my granddaughters for our dress u=p time. The starbucks GC is my favorite because it's my favorite place to get coffee from! I am loving those Minnie Mouse ears with all the sequins!! Awesome giveaway!! Love the mug and the minnie ears. I would love Starbucks gift card, it's a treat to me. I would love to win the I Run on Coffee & Christmas Enamel Mug because I can't live without my morning coffee. I love to collect mugs bring it on thanks for the chance. I would love the ears! We're going to be traveling from Montana to Orlando for our very first Disney Christmas on Dec 21st. They would make the prefect addition to our Christmas trip! The EARS! I NEED those ears in my life! :) Great prize pack! The Starbucks card and coffee mug! I love coffee and would love the coffee mug! I would love to win the Starbucks Gift Card or pretty much anything here! Me too! It actually fits me this time of year.